We’ve been certain that there’ll be a more affordable variant of the upcoming Galaxy S10 flagship smartphone. But while we’ve gotten a hold of official-looking renders for the two higher-end models, it’s only now that we have a clearer look at the lowest-end of the bunch. The renders come courtesy of WinFuture, which has been consistent in dishing out leaks that eventually turn out legit. What we see above is being touted as the Galaxy S10E or S10 Lite, depending on which rumors you prefer believing. 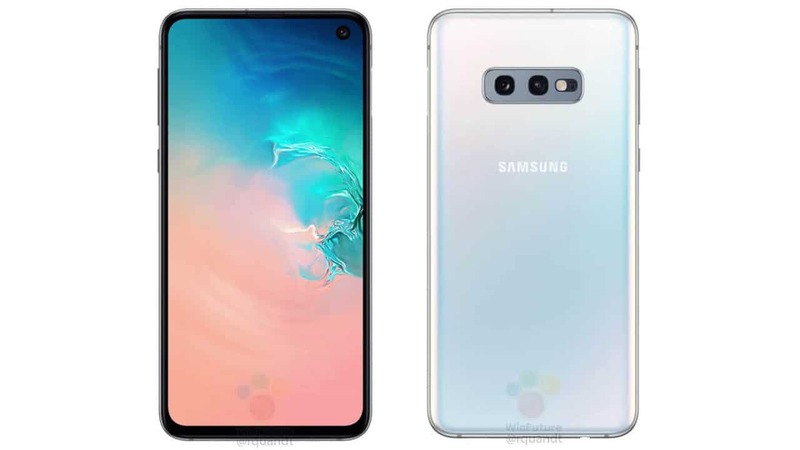 Although the leak doesn’t come with specs, we can confirm that this Galaxy S10 variant will have two cameras on the rear and a single punch-hole camera in front. These are likely the primary differences between the S10E and its more expensive siblings. Not shown on the renders but implied by the indent on the right side of the frame, is the exclusion of the under-display fingerprint scanner in favor of a side-mounted reader, similar to the latest Galaxy A7’s. It’s also important to note that the sides of the display aren’t curved, something that’s become sort of a tradition on recent Galaxy S smartphones. This explains the thicker bezels, and quite frankly, gives it a more iPhone XR-like look. The grand reveal is going to happen during Samsung’s Unpacked event on February 20 in San Francisco. There we’ll probably also see a 5G version of the Galaxy S10 and the company’s first foldable phone.